Miami (AFP) - NFL champion New England Patriots' owner Robert Kraft apologized on Saturday in a statement, making his first public comments since being charged with soliciting prostitution last month in Florida. 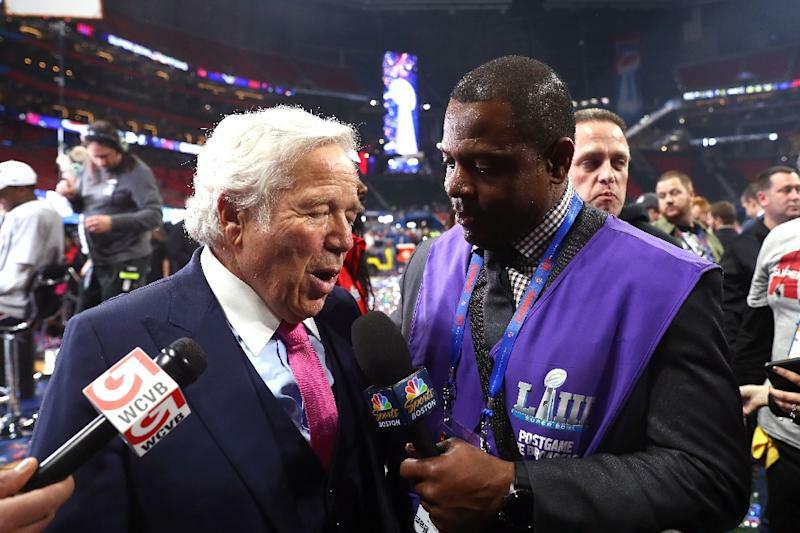 Kraft has pleaded innocent on two misdemeanor solicitation charges but had made no comment until the statement, posted on the NFL's website. "In deference to the judicial process, I have remained silent these past several weeks," Kraft said. "I would like to use this opportunity to say something that I have wanted to say for four weeks." "Throughout my life, I have always tried to do the right thing. The last thing I would ever want to do is disrespect another human being. I have extraordinary respect for women," he said. "My morals and my soul were shaped by the most wonderful woman, the love of my life, who I was blessed to have as my partner for 50 years," he added. "As I move forward, I hope to continue to use the platform with which I have been blessed to help others and to try and make a difference," he said. "I expect to be judged not by my words but by my actions. And through those actions, I hope to regain your confidence and respect." Police said there was evidence several of the women apprehended at the spa where the ring was operating were made to reside there. Kraft will attend the NFL's annual meetings that begin on Sunday in Phoenix, Arizona.